And here we are, finally, ready to wish happy birthday to our Randy, who’s turning 39 today! Unfortunately, so far we didn’t reach the goal we had set, and for this reason we decided to extend the donations until Sunday November 6th 2016. Feel free to contact us if you have any problem during the donation procedure. We sincerely hope that Randy will appreciate this gesture! And now… BEST WISHES to Randy, from all of his fans… from all over the world, of course also the ones who didn’t donate! We hope he can spend a wonderful day with the people he loves! Best wishes from ALL the people who follow Randy’s career and appreciate him as an actor as well as a person! 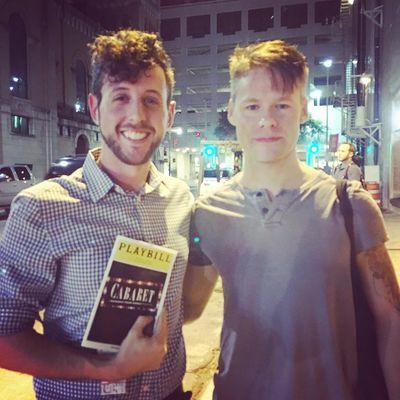 We have one more picture of #RandyHarrison after last night's performance in #CabaretTour in San Antonio, thanks to Amy Kristine Mireles who is in the picture with Randy and let us share it on our website! 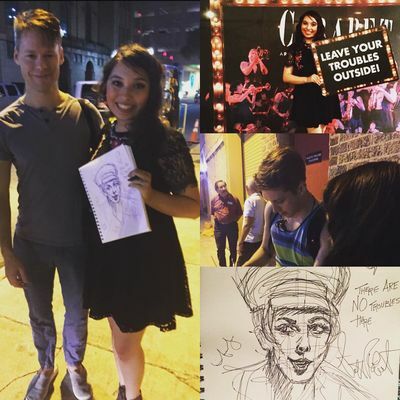 The cast of #CabaretTour along with #RandyHarrison are currently performing at the Majestic Theatre in San Antonio, where the musical is scheduled on October 25th-30th. We have a picture of Randy taken after last night's show. 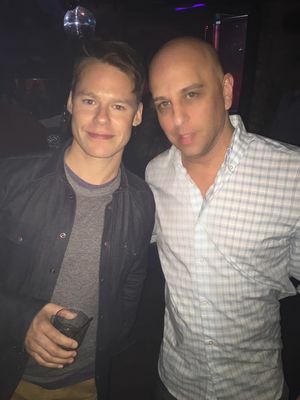 Thank you so much to Trevor Chauvin for sharing his picture with Randy! 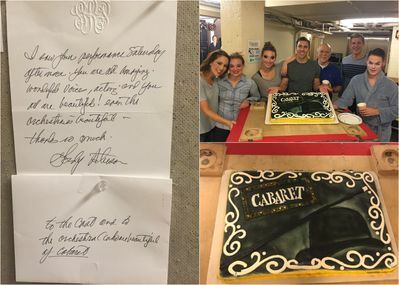 A few hours ago Cabaret the Musical posted on their Twitter a picture of #RandyHarrison and some members of #CabaretTour's cast posing with a Cabaret-themed cake, a sweet thank you from a fan who greatly enjoyed the Saturday (October 22nd) afternoon perfomance. 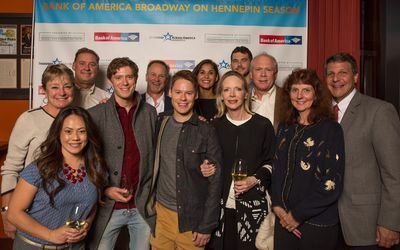 We added two more pictures of #RandyHarrison with members of #CabaretTour's cast from the cast party hosted a few days ago by the Bank of America to celebrate Hennepin Theatre Trust's season opening. we want to remind you the fundraising we started to honor Randy's birthday: please donate what you can or help us share this initiative!!! This is the second time we start this initiative and we chose again to donate money to The Ali Forney Center, an organization Randy is always very supportive of! Everything will be handled by crowdrise.com, a website that manages this kind of things, so all your donations will be safe and secure. bisexual, transgender, questioning (LGBTQ) youth from the harm of homelessness, and to support them in becoming safe and independent as they move from adolescence to adulthood." For more info about The Ali Forney Center click HERE. 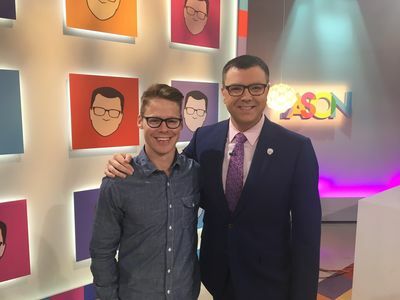 As we already wrote a few hours ago, #RandyHarrison was at the Fox9 studios for an interview during Jason Matheson's talkshow "The Jason Show". Jason Matheson posted the video interview on his official Facebook page. 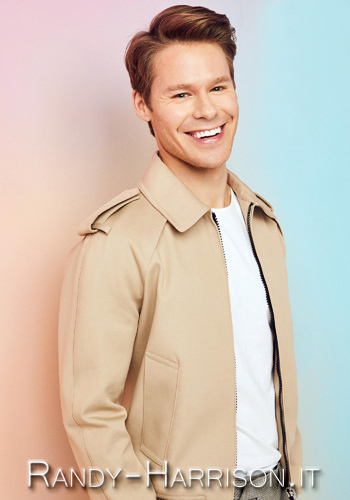 This morning #RandyHarrison, along with his costar Andrea Goss, was also at the WCCO4 studios for an interview with Ali Lucia and Kim Johnson in "News at Noon". 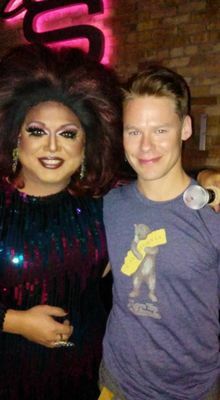 This morning #RandyHarrison was at the Fox9 studios for an interview with Jason Matheson during "The Jason Show". Jason posted a picture with Randy on his official Twitter. 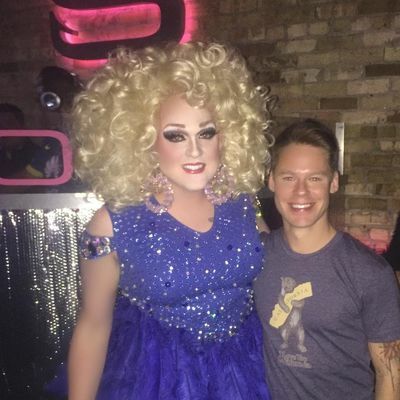 And we also have more pictures from last night's party at the Saloon, thanks to some friends who let us share them on our website! 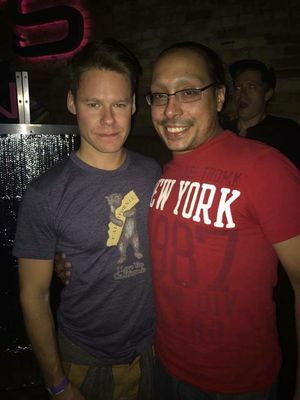 We have one more picture of #RandyHarrison, taken last night after the show. 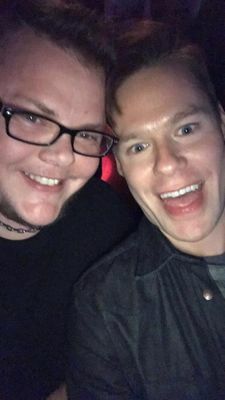 Thank you so much to Joey Dahl who is in the picture with Randy and let us share it on our website!